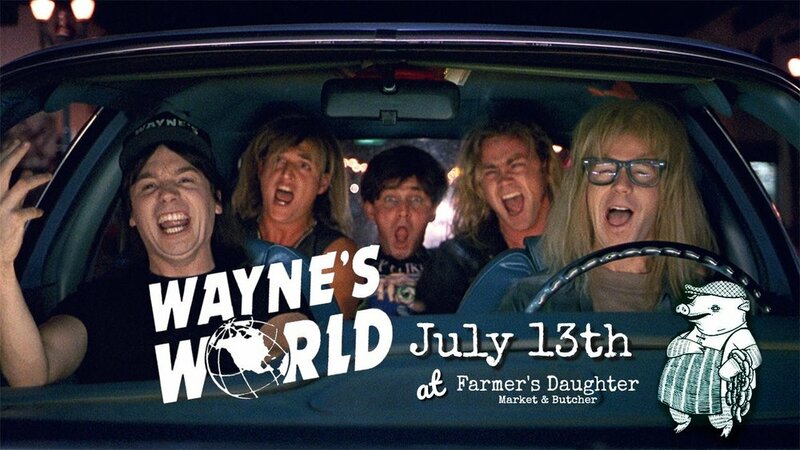 Join us out back of the shop for a FREE screening of the always radical Wayne's World. Epic movie themed burgers and dogs for sale starting at 8pm, movie starts at dark (around 9pm). See you there dudes. Bring your own chair, friends, and an appetite! Not into the movie? Pick up dinner TO GO!